Better Alternative (Flying Spur-Ancient Lights) was an impressive winner at Werribee today in a class 1 over 2000m. Ridden by Corey Brown for trainer Robert Smerdon, the 4yo mare looks to have come back in fine order this preperation. The injury plagued Crown Rubiton (Rubiton - Jade Tiara) finally saluted the judge at Kynton today. Ridden by M Flaherty the 6yo gelding won by a long head over the 1112m. Being a half brother to SILENT WITNESS he showed early promise as a youngster with a nose 2nd on debut at Mooney Valley and it was good to see the horse finally win for connections. Yes Walgett, She's a Goldigger won by a nose over the 900m for trainer Damien Lane. Ridden by K Dunbar, the filly which was sold at the weanling sales proves that they can win everywhere and congratulations to the owners. Empress Jade was successful in Newcastle today winning by an ever increasing margin of 2.8 lengths. Ridden confidently by Mitchell Bell, the filly relished the extra distance of the 1850m. SILENT WITNESS will live long in our hearts and memories. He was a true world champion and now he can rest and enjoy his retirement in a lush paddock far from the hectic pace of the racetrack. Well Done Old Mate. Edinburgh Park has just completed its most successful sales ever. 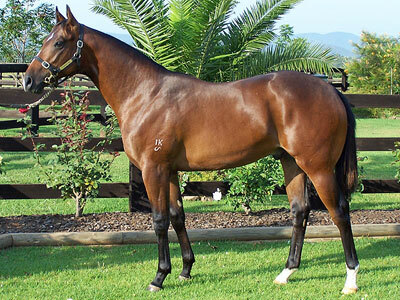 The stud still in its infancy has sold at the Gold Coast Magic millions. The stud grossed $1,320,000 with five sold and averaged $220,000-00. Top trainers and bloodstock agents competed for the yearlings with Gai Waterhouse, Lee Freedman, HKJC, John Foote and Cook Thoroughbreds all purchasing yearlings. 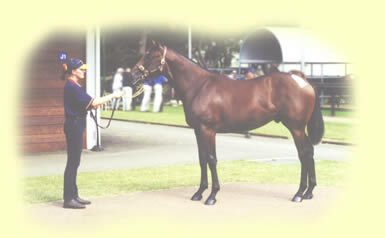 Top price was $360,000 for the Danehill Dancer - Joleur colt.